Copypright Kikusui Sake Co. All Rights Reserved. Kikusui Sake Co., a manufacturer and seller of Japanese sake, announced on March 4, 2014, that it became one of the winners of the Third Carbon Offset Awards. For its efforts through "KIKUSUI Style Bottle," it received the recognition award, which honors outstanding activities aiming to realize a low-carbon society. "KIKUSUI Style Bottle" is a sake product that comes in stylish bottles with individual colors and shapes. By reusing wine bottles, it contributes to energy conservation and CO2 emissions reduction. The amount of CO2 it offsets is 500 grams per bottle, which is the amount emitted by the lights used during a leisurely meal where sake is served. By utilizing the carbon offset scheme, Kikusui is promoting measures to tackle global warming by ensuring optimum CO2 absorption levels in the forests of Sado Island, and is also supporting the "Toki-no-Mori Project (Forests for Japanese Crested Ibises)." This project contributes to improving the habitat of released ibises and preserving the forestry ecosystem. By purchasing the credits, Kikusui aims to play its part in saving and growing the forests of Niigata Prefecture, its home, which provides water that is essential for flavorful sake. The scheme allows CO2 emitters to offset their emissions by purchasing the equivalent amount of CO2 absorption, with "credits" being the units for such transactions. 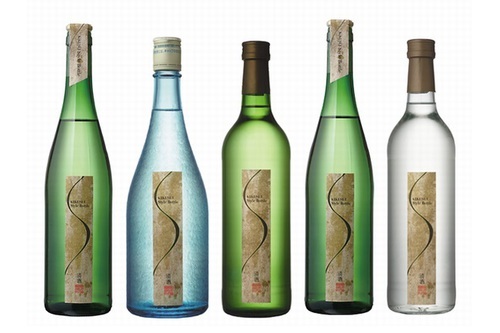 Kikusui says that, by purchasing this product, consumers can take part in eco-activities, and contribute to forest preservation and growth, while enjoying sake.